Face paint is probably one of the cheapest and most interesting ways to entertain the kids when you have run out of ideas. Lots of two dollar shops sell face paint or body paint or craft shops so it's really easy to find. What I like to do is paint a surprise on the kids faces and then they look in the mirror. Or we might play "What am I?" and they need to guess what animal they are and then they look in the mirror. You can look up tutorials on Youtube on how to paint faces, or you can just simply go for it. I'm sure children won't mind being your crash test dummy. 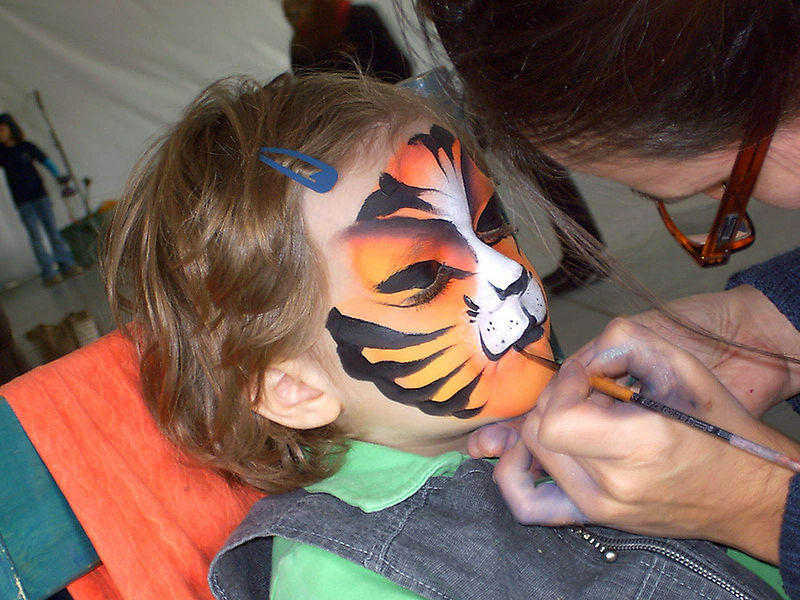 Face painting is typically popular at children's birthday parties, so that's also an extra plus. Get crazy and even paint the child's face one colour and then put polka dots all over it. My boys find this funny and more entertaining than when I paint an actual animal or character on them. Take lots of pictures, and even teach the children to paint each others' faces. They can be creative and try and paint their own animal.